Just click RESERVE NOW button to take immediate action to secure your wedding ceremony date! Serenity Office is located in a private, quaint room. We don’t mind if you would like to add some of your own decorations, we just ask that no damage occurs to the walls or ceiling. You are more than welcome to come view our site before your wedding. We will be more than happy to accommodate you any way we possibly can. Serenity can fit 10 adults comfortably due to room limitation. These smaller weddings appeal more to the couple who want a No Hassle ~ Stress Free Wedding Day! Also, you don't need witnesses; we are able to perform the ceremony for just the two of you ... and children if you have any. Some couples prefer more of a Church atmosphere. Unity of Lehigh Valley graciously allows us to use their facility to perform weddings there. Seating is available for up to 85 guests comfortably. 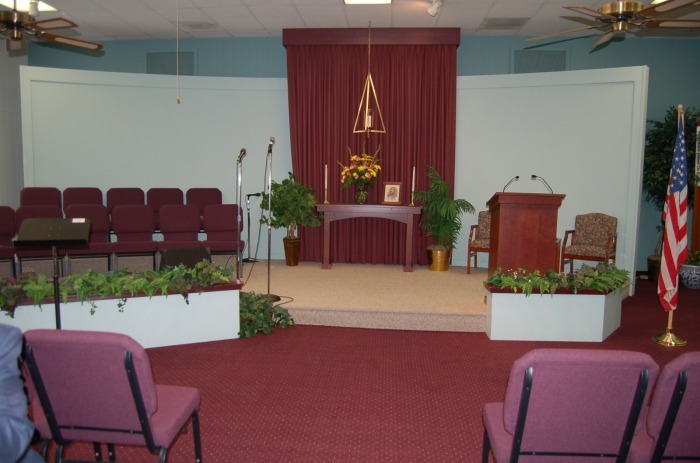 The Church allows you to bring in flowers and to decorate but asks that no damage occur and has to be cleaned up before leaving. 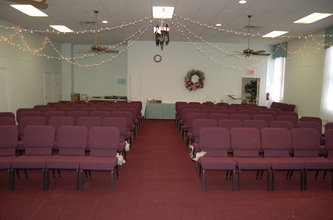 The fees of Unity of Lehigh Valley Church do not include the Officiant Fee. You may bring a “boom box” for your processional and recessional music. If you desire the Church to provide music; their Sound Technician can be hired for a small fee. We have provided pictures below but if you would like to view the Church in person we can make arrangements to do so. 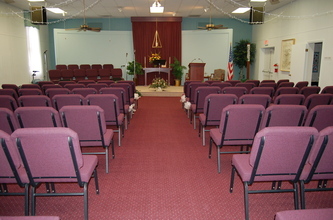 A signed contract and a 50% deposit is required to book the Church. Please contact us at unity@LehighValleyWeddingOfficiants.com for more details.